This offer Is exclusive on seoclerk.com. I will post your article / guest post on Travel Blog. I will never remove your post from the site, the dofollow links will be there forever. If you need to get natural links to boost your web's traffics? Guest posting is the right answer. Your content must be unique, CopyScape passed. Promotional messages in content are allowed but article should be informative. I can also write article for Guest Post, please buy service Extra. 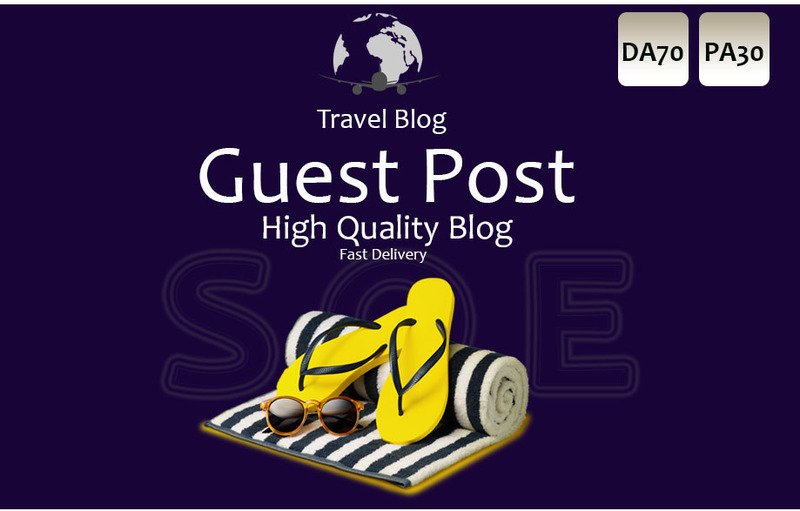 Post Your Guest Post On Da70 Travel Blog is ranked 5 out of 5. Based on 1 user reviews.